In this review, I will take a look at a popular product with dog owners and provide you with a honest review. 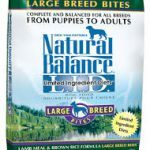 So, what is Natural Balance Dog Food? To answer this question, I will tell you a little about the company itself, examine the pros and cons associated with this product, why it may be beneficial and why or ( why not) this product would be recommended. Let’s get started. Natural Balance Pet Foods is based out of California, being established in 1989. Since their conception, the company basis their core beliefs on a couple of simple principles. First of all, they believe their formulas should be produced with both a nutritional and scientific approach. In their opinion, this is the best of both worlds and our pets should receive these benefits. Secondly, their recipes and formulas are designed to meet the nutritional needs of our pet’s lifetime which can be used in all life stages, from puppy to senior. Natural Balance advertises their pet food as being a premium and natural brand using only the freshest ingredients in the production of their recipes. These ingredients include top-quality meats, fruits and vegetables, and essential carbohydrates and proteins. It should also be noted that each formula, before being packaged, is tested for nine various contaminants to ensure a safe and healthy product. As you can see, Natural Balance offers a number of formulas designed to fit the nutritional needs of any dog. As a side note, the LID product can be obtained in seventeen different formulas which a number of various flavors. Chicken, beef, lamb and duck combined with potato, sweet potato and rice are all available. Can My Dog Benefit From Natural Balance Dog Food? My short answer to this question is ‘yes.’ The benefits of choosing a natural dog food such as Natural Balance may pay huge dividends. Their formulas consisting of only natural ingredients with essential carbohydrates and proteins may just keep you away from your local vet. In addition, starting off your precious pet as a puppy with wholesome, natural ingredients will create a happier, healthier pet. As I mentioned earlier, Natural Balance provides recipes that target specific and individual needs of your dog. Have a dog that can stand to lose a few pounds? Natural Balance has you covered with its Fat Dogs Low Calorie Content formula or the LID recipes. What about a dog with a sensitive stomach or has food allergies? Natural Balance provides a grain-free diet for your pet designed to alleviate these symptoms. The list of recipes goes on and on. Pet owners looking for a diet free from unwanted fillers, artificial flavors and colorings should also consider Natural Balance. Fresh healthy meat, fruits and vegetables, packed with ingredients that supply nutritional value to your pets is not something to be overlooked. You must be the voice for your pet and consider the alternatives to the thousands of commercial brands on the market today. On a negative side, Natural Balance Pet Food is not cheap. The old saying of , ” You get what you pay for ,” holds true as it relates to this product. There a number of other natural dog food brands on the market are less expensive, but may not provide the specific needs of your pet. This is a choice as a pet owner that you must make. Let’s look at some of the pros and cons associated with Natural Balance that you may need to consider as well. 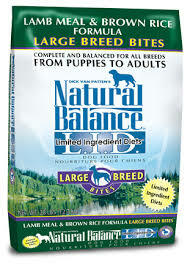 Would I Recommend Natural Balance Dog Food? As you can see from the pros and cons listed above, I would have no issue with recommending this product to dog owners who are owners of a new pup or looking to make a change to a current diet. The ingredients used in the Natural Balance formulas are wholesome, fresh and nutritional. I do take stock in the fact that the ingredients used in the production process generate from the USA. I also like the fact that Natural Balance partakes in a number of testing procedures before their product is packaged. 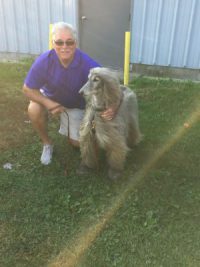 The company truly has the interest of our pets and goes the extra mile in keeping them safe from unhealthy and dangerous contaminants. For those on a tight budget, or not experiencing any concerns with their current dog food, Natural Balance may not be for you. As I mentioned earlier, there are less expensive brands on the market that may suit your dog’s needs just fine. If, by chance, your pet is showing signs of unhealthy traits or money is not a concern, Natural Balance Dog Food has plenty to offer. With so many dog brands on the market today, finding one that you believe will be beneficial to your pet can be a difficult task. We all want our pets to be happy, and live a long and happy life. In my opinion, nothing is more important than the diet we provide them. As I mentioned above, finding and feeding your pet with fresh, nutritional ingredients can only result in a positive outcome. Research shows that dogs and cats, fed exclusively with a natural diet do much better than those who consume food that contains ingredients that supply little nutritional value. Natural Balance Pet Food is one that believes in providing a well-rounded nutritional meal to our pets and one that is quite popular with pet owners all over the world. Is it right for you and your pet? That will be a decision that only you and your pet can make. Please feel free to leave a comment or leave a question below and thanks for stopping by! Click on the image below to check out Natural Balance Pet Food.